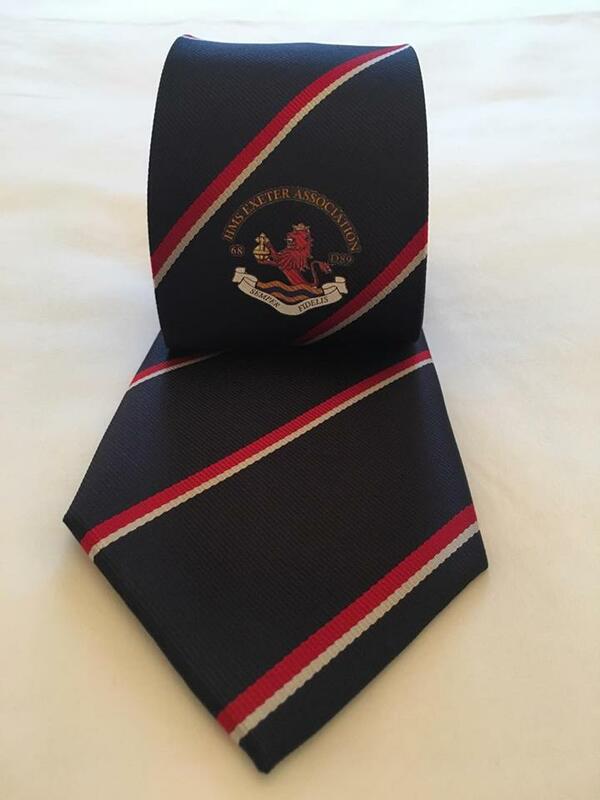 New Association Tie now available! 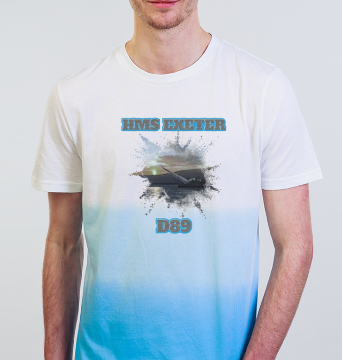 The newly designed HMS Exeter Association Tie is only available in the RN Association colours. Item will be posted 1st Class. Please don't forget to include your delivery address. 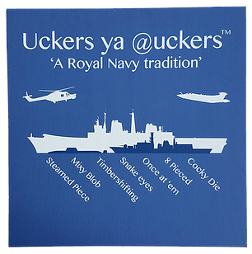 © All artwork is copyright to Forever Jack who is licenced by the MOD to produce the artwork. 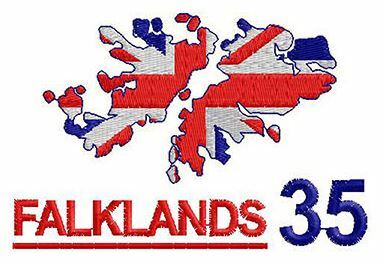 The logo is not to be reproduced without the express written permissions being sought from Forever Jack. 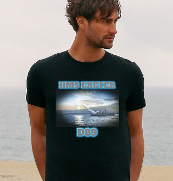 The HMS Exeter Association Lapel Pin includes P&P. This is an enamel pin badge made for the formation of the Association in 2016. 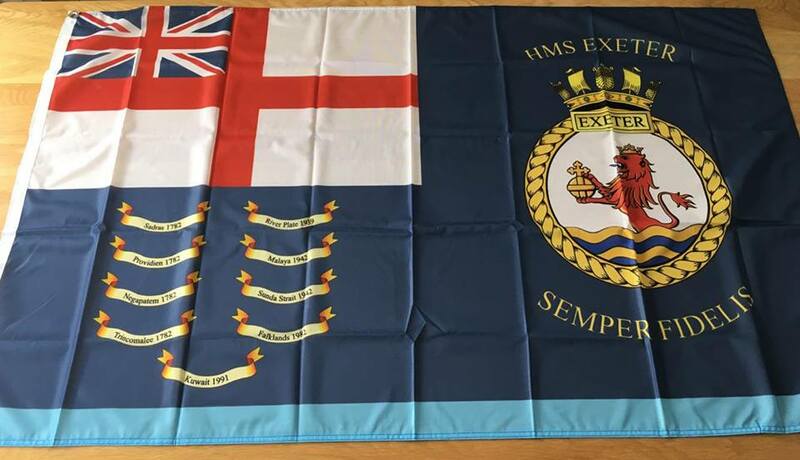 Large flag, design based as a replica of the Exeter Standard. Includes P&P - Please include your delivery address. 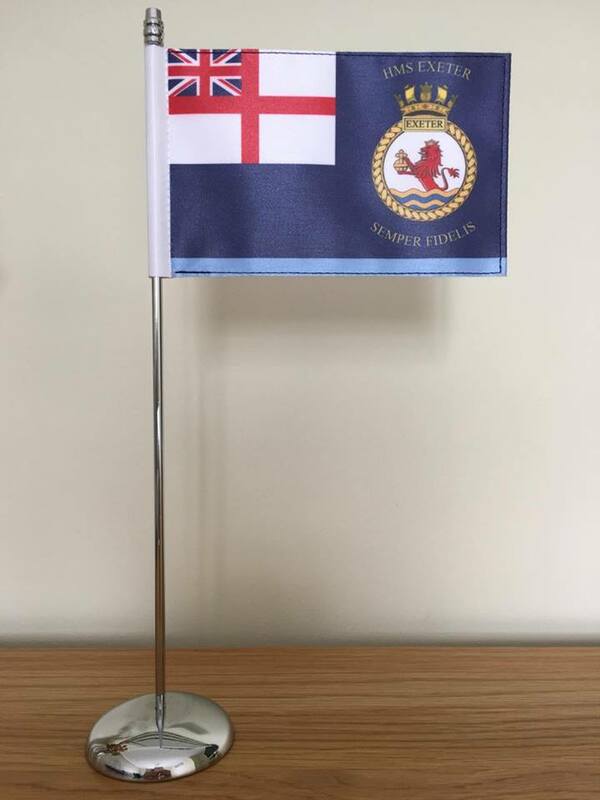 Small table flag, design based as a replica of the Exeter Standard, without battle honours. 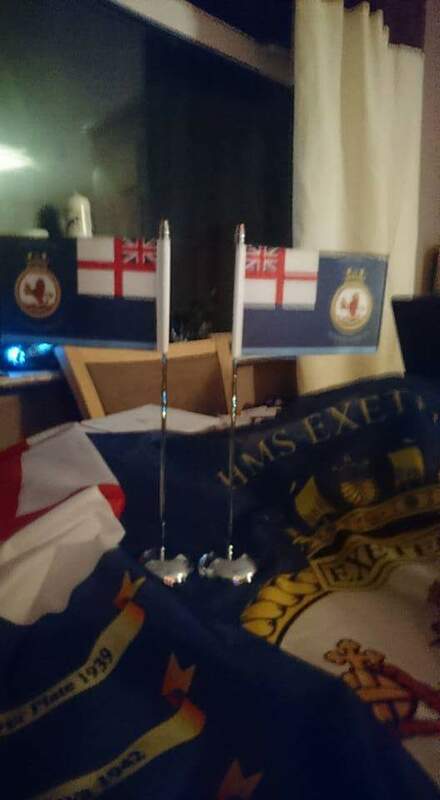 HMS Exeter Association Wreaths are made to order. 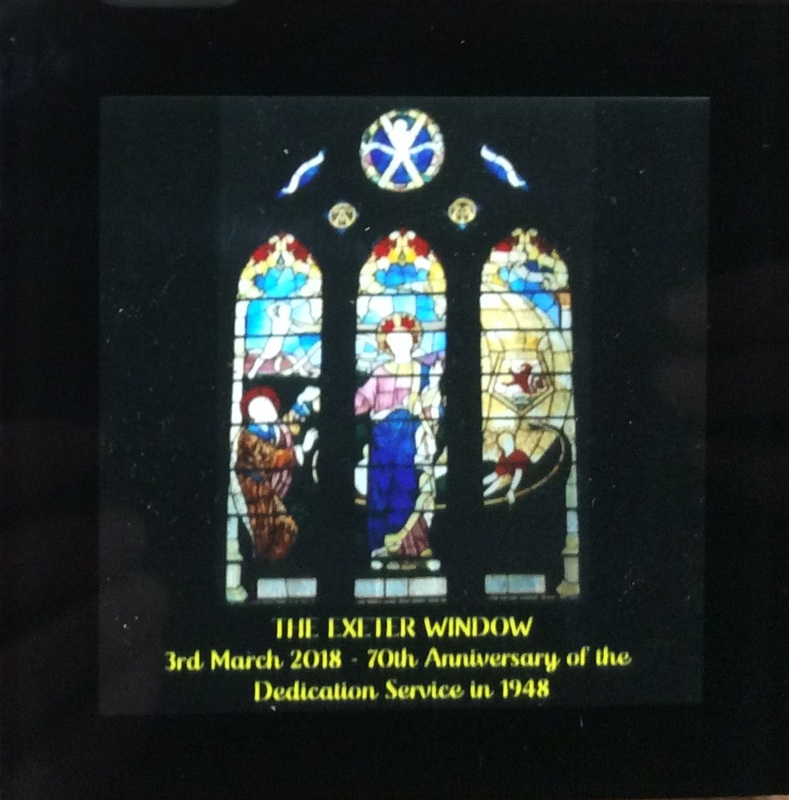 The design can include the Association logo or either the pentaganal or round crests. Please specifiy which logo you require on order. Image is for example only. *Price is for local pick up only, in the Portsmouth area. 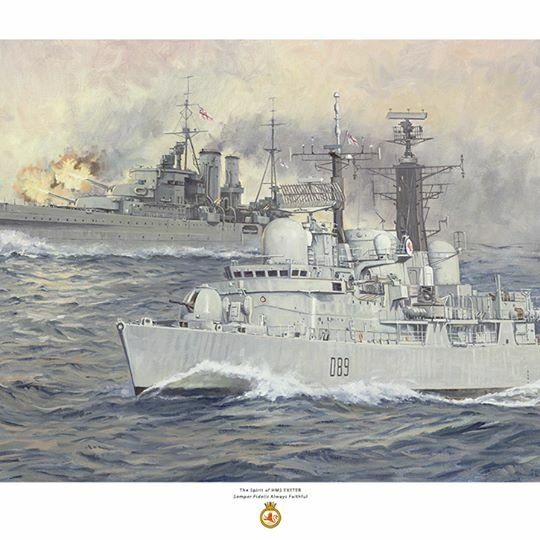 A specially commissioned painting by renowned maritime artist Ross Watton depicting both Exeter's named 'The Spirit of HMS Exeter'. Prices range from £14 - £38 depending on the size required. 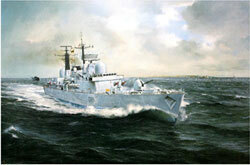 HMS Exeter print from Robin Brooks, the painting named 'Defence of the Realm HMS Exeter D89' was commisioned to mark the retirement of the ship from service in 2009. 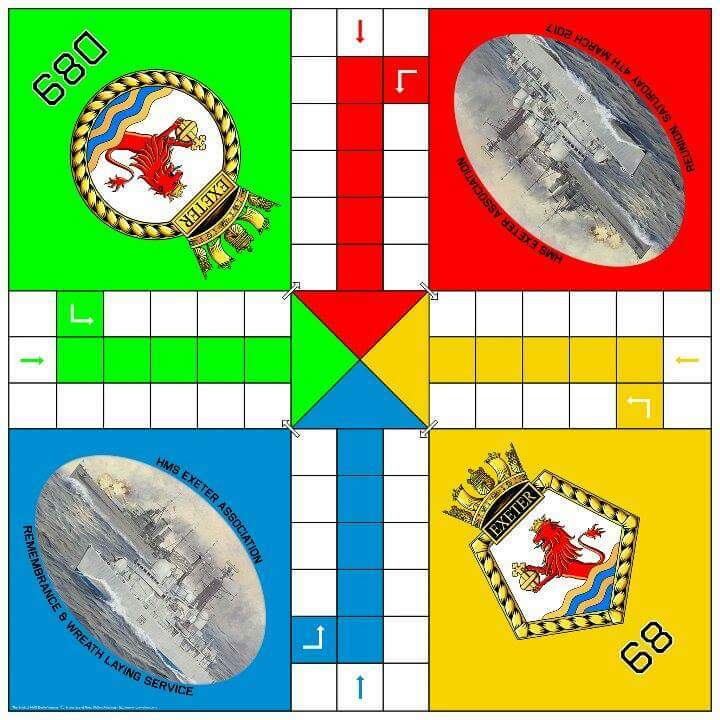 The HMS Exeter special themed Uckers board, featuring the painting by Ross Watton. 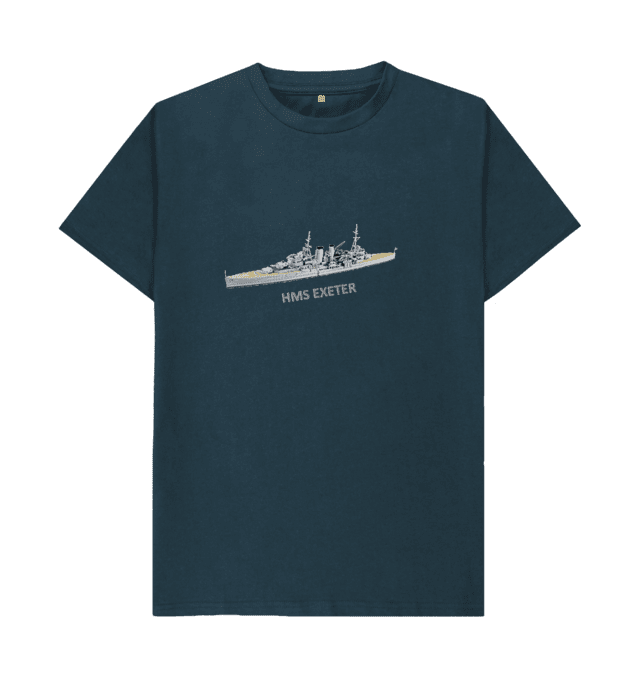 Quality HMS Exeter items can be ordered from Forever Jack. Click the image below to order directly. 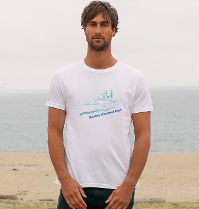 HMS Exeter and Falklands 35 items from ABS Embroidery.